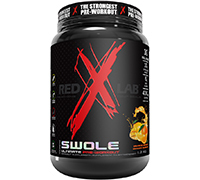 Swole is the strongest pre-workout available. An ultra-efficient formula that combines increased amounts of Citrulline and a high-concentration of Beta-Alanine to maximize endurance. To boost absorption, Swole’s formula is fortified with a potent Black Pepper Extract (95% Piperine) and Vitamin B12. Swole is without a doubt the STRONGEST PRE-WORKOUT. 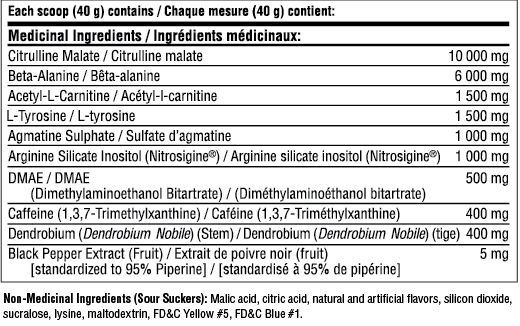 Reduce fatigue and improve endurance with citrulline! Nitric oxide is important to several different biological systems including vasodilation, or widening of the blood vessels which in turn helps to increase the delivery of nutrients and oxygen to working muscles, thereby enhancing exercise performance. To maximize absorption, Swole has been fortified with Vitamin B12 and a high quality Black Pepper Extract containing 95% of Piperine. How to use Swole: Mix 1/2 scoop in 12 oz of water. Drink prior to your workout.